A while ago I placed a cheeky MAC order - I fancied starting my own eyeshadow palette and also took a liking to one of MAC's pigments in Rose. 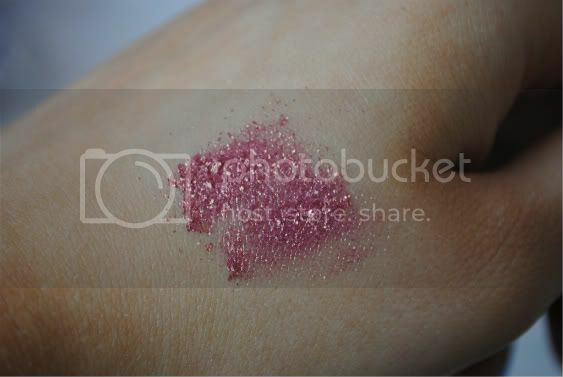 I've always been intrigued by MAC's pigments, but could never really justify getting one (I swear I own all of Barry M's Dazzledusts). However, when I saw this beauty in the MAC store in Covent Garden a while ago I fell completely in love. I actually can't believe I didn't buy it then and there, but I assure you it went straight in my basket as soon as I got on the MAC website. It is seriously the most beautiful pink, with stunning gold reflects. Pink and gold together is like my favourite colour combination and I just absolutely love how it looks. I used to wear pink eyeshadow all the time and it's been great experimenting with this. I know some people will probably think pink eyeshadow is a bit 'WOAH BARBIE', but with the right make up I think it looks lovely. The consistency of the pigment is quite thick, different to Barry M's Dazzledusts which are a lot thinner and less 'bitty'. However, the fact MAC's are so thick makes their colour pay-off a lot more intense, and makes for a perfect dramatic eye look. I'm not sure if I could get away with wearing this pigment day-to-day, but for a night time look it is perfect. 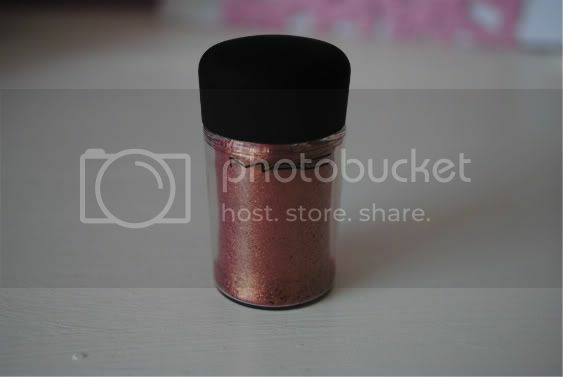 I've experimented with it a couple of times, I like putting gold all over the lid and then this in the outer corners for something a little different (and less in-your-face!) It lasts really well and I didn't really find fall-out too much of a problem - I definitely think the Dazzledusts are the worst for it. However, MAC's pigments are a little bit on the pricey side - at £15.50 each they're definitely not something I will be buying on a regular basis, however you do get a fair amount of product and the fact they are SO pigmented and sparkly makes them worth the money (for an occasional treat, of course). 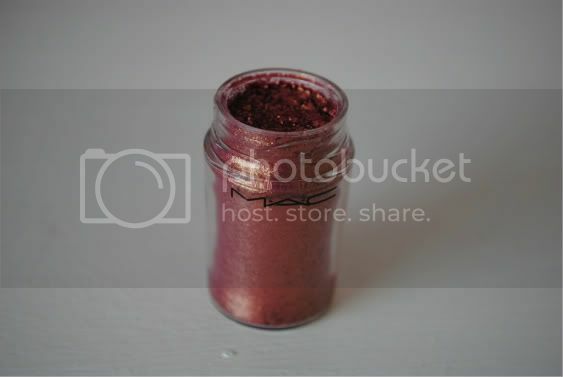 What do you think of MAC's pigments?